This week we’ve been working on player appearance customization. Lizzy’s been hard at work creating clothing, hairstyles and facial features. Andy has successfully implemented skin tone selection and clothing color changes. Crafting options will play a role in which clothing items are initially available, but the player will be able to select their apparel from a limited selection right away. 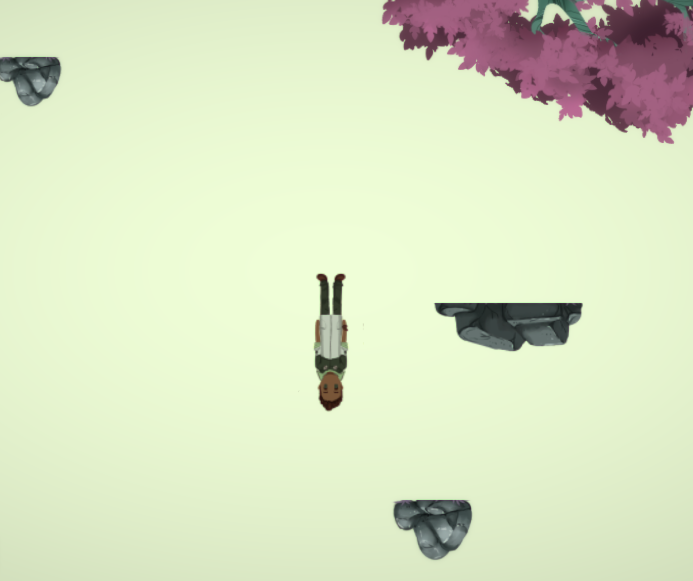 Meanwhile, Beth continues to work on the game map design. The general layout of the settlement is finished, though it will need some finessing before it is finalized. 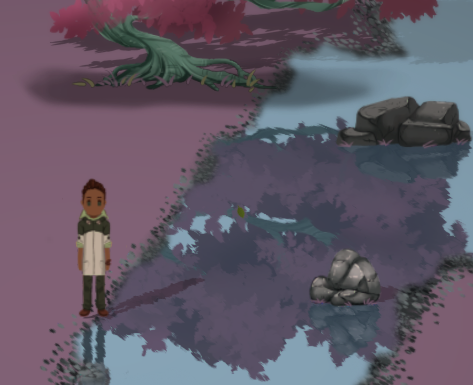 I really wanted to make the world of Verdant Skies beautiful- and as a developer, I figured the best way I could contribute was with fancy graphical effects like these reflections. I wrote the reflection shader with the help of Scott (thanks Scott!). At first, it started as just a way to animate the water, so the first thing to add was the rippling pattern that occurs on the surface. I won’t get too technical here, but if you’re interested in details, the core idea is using a normal map to displace your UV texture lookup. Then we composite that reflection map on top of the water that we’re drawing. 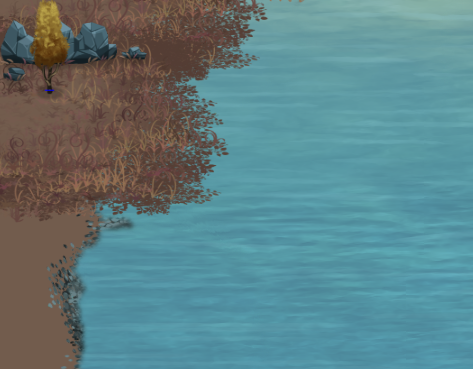 The animated reflections are looking pretty cool, but it doesn’t really look like water.. kind of like a shimmery mirror. So we blend in a texture as the last step. Have you ever noticed that when you look across a big body of water and see a reflection, that moving doesn’t really change what’s reflected there? 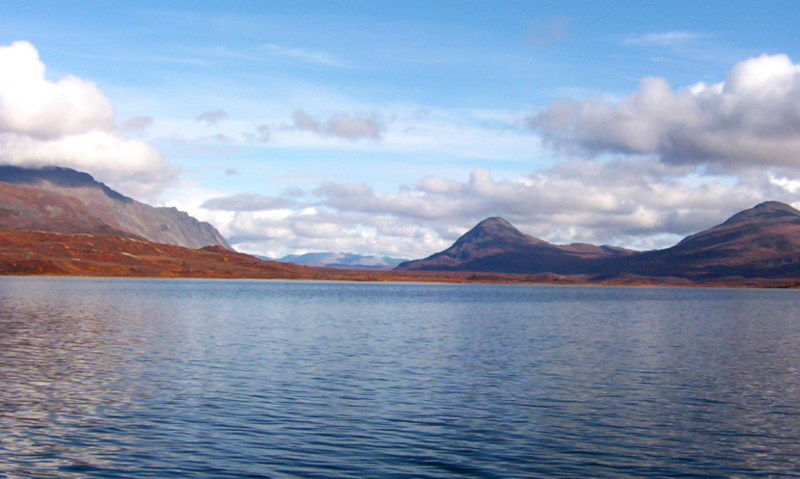 There’s a pretty constant gradient because of how the sky is reflecting in the angle of the water. But this is what our water really looks like! Greetings pioneers! The team here at Verdant Skies couldn’t be happier to share a peek into our new world with you. Please check out our announcement video and take in the lush landscapes of Viridis Primus. Leave your life behind and begin anew on this beautifully painted, hand-crafted planet. Life simulation game similar to old favorites like Harvest Moon. True-to-life storytelling and dialog with complex and real characters. An accessible and open dating system. Lots of upgrades to unlock. Since we want to offer the best experience possible, we have not currently set a release date. Check back here for updates and a chance to participate in our closed beta sometime later this year.